Risk assessment has become the backbone of health and safety management in the UK and elsewhere. Employers have a legal duty to prove that risk assessments have been carried out and to ensure that appropriate precautions have been implemented. Mike Bateman demystifies the risk assessment process and how it relates to UK legislation. He covers both the general techniques and the assessment of specific risks, such as hazardous substances (COSHH), noise, manual handling, Display Screen Equipment (DSE) workstations, Personal Protective Equipment (PPE), fire, asbestos and work at height. The book is practical in its approach to risk assessment rather than being overly legalistic or academic and tells the reader how to go about risk assessment, not just what the legislation requires. It contains numerous checklists, forms and worked examples for a variety of hazards and industries. Mike Bateman runs his own health and safety consultancy and specialises in risk assessments. He is a corporate member of IOSH and a registered health and safety practitioner.
" 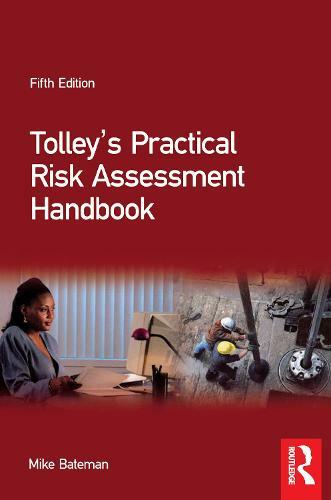 This excellent publication is a 'must' for directors, managers, health and safety professionals, safety representatives and others involved in risk assessments."